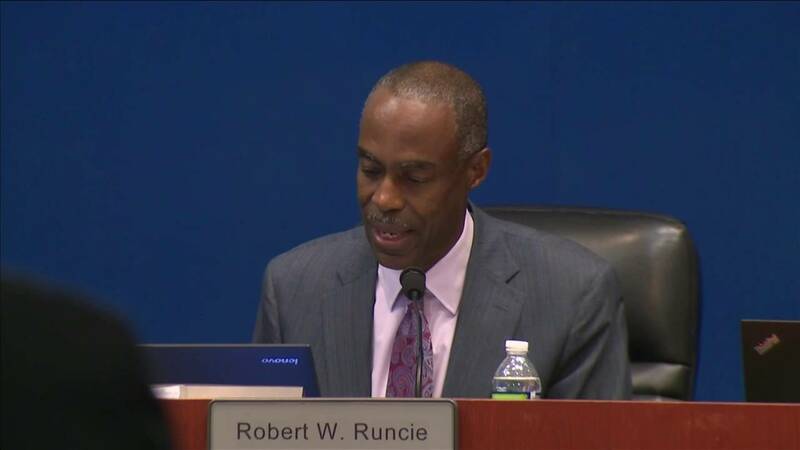 PARKLAND, Fla. - The meetings between Parkland parents and embattled Broward County School Superintendent Robert Runcie at Marjory Stoneman Douglas High School have been closed to the public, but audio obtained by the South Florida Sun-Sentinel reveals some contentious moments and heated words. "The only thing that I, as a resident here, as a parent, would accept of you, is your true, heartfelt apology that epic failures that took place under your watch, and your resignation," one parent said in the meeting on Monday. Local 10 News has asked the school district whether last week's meeting was a violation of Florida's law that gives the public access to meetings when two or more elected official are present. School board member Lori Alhadeff, whose daughter, Alyssa, was killed in the mass shooting, was the only member to attend Tuesday night. She contends all meetings should open to the public. “I wanted everyone's voices to be heard throughout the district,” Alhadeff said. The district has said the meetings are private because it wanted parents to be able to speak freely. And it seems they did. "More than anything else that would give us at long last some small sense of comfort, some small sense of peace, some small sense of hope, are three very simple words: 'I resign immediately,'" one parent said.